Okay, not entirely. 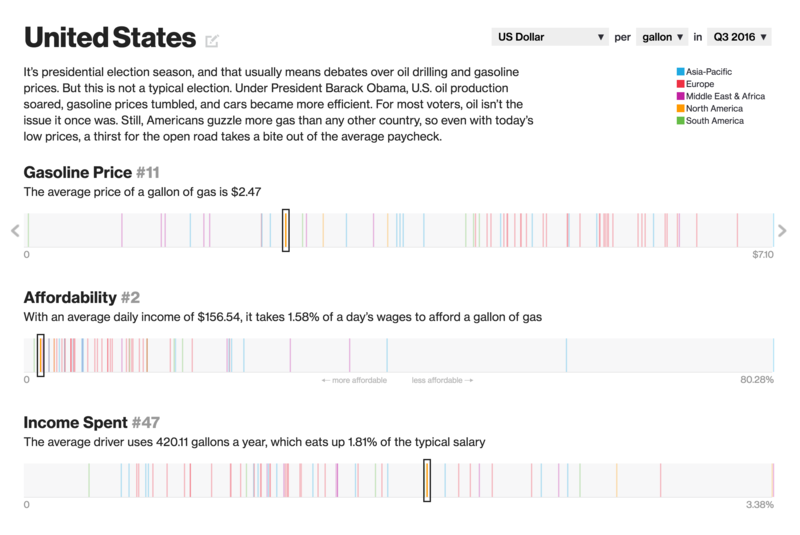 But Bloomberg put together a solid series of graphics tracking not the travels of Donald Trump, but his private aircraft. But that information can serve as a rough proxy for Trump’s travels. 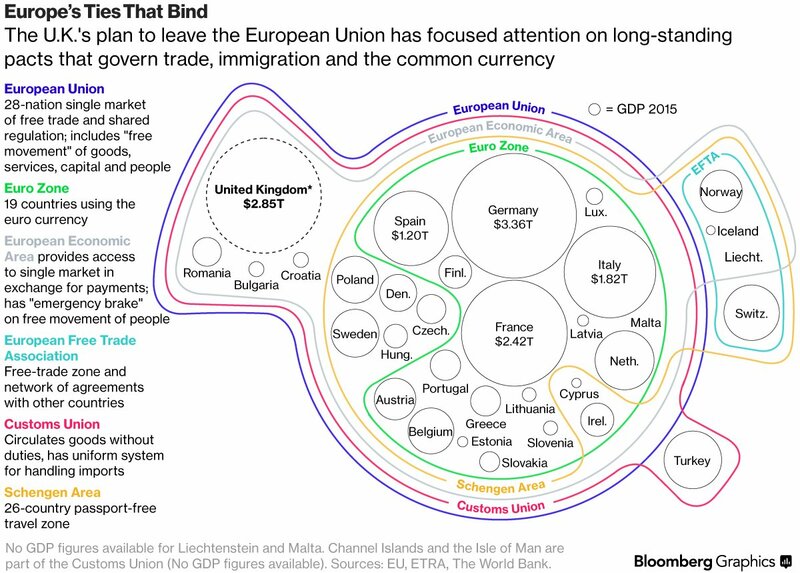 But the data is not complete—Russia is missing from the map though he has visited the country for business. 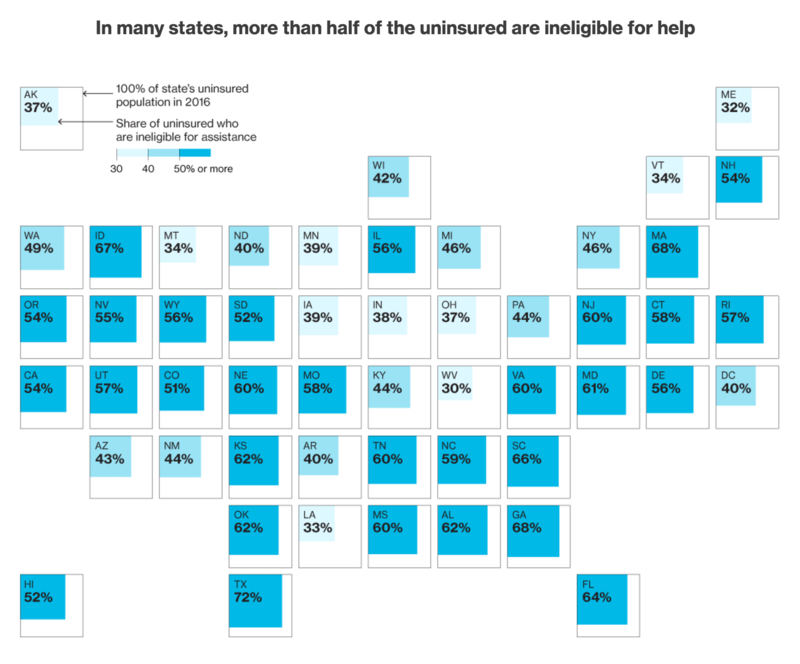 Credit for the piece goes to Vernon Silver, Michael Keller, and Dave Merrill. Alternatively known as the zombie food map. Sorry, but I couldn’t resist that one. 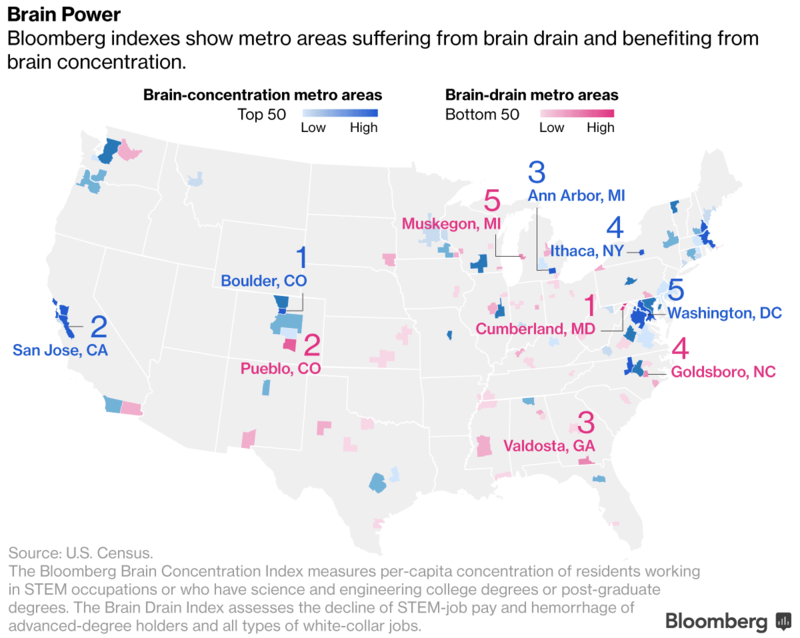 Today we look at a piece from Bloomberg that maps brain drain across the country. What is brain drain? Basically it is the exodus of people with advanced degrees and education employed in science-y industries and fields. So this map shows us where the brains are moving from and where they are moving to. Credit for the piece goes to Vincent Del Giudice and Wei Lu. Several days ago OPEC, the Organisation of the Petroleum Exporting Countries, announced a cut in production to raise the price of oil. This was big news because Saudi Arabia and others had kept the price low in an attempt to undercut the nascent American shale oil and gas industry. Well…that didn’t work. In this article from Bloomberg, you can see how the United States could be positioned to become an energy superpower. But, they also lay out the various snags and pitfalls that could dim that outlook. 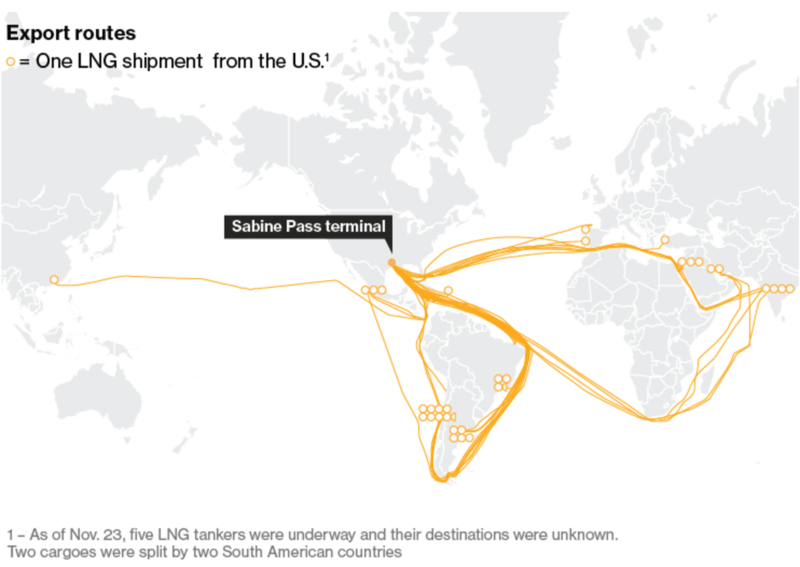 This map from the article details the destinations thus far of America’s natural gas, in liquefied state. 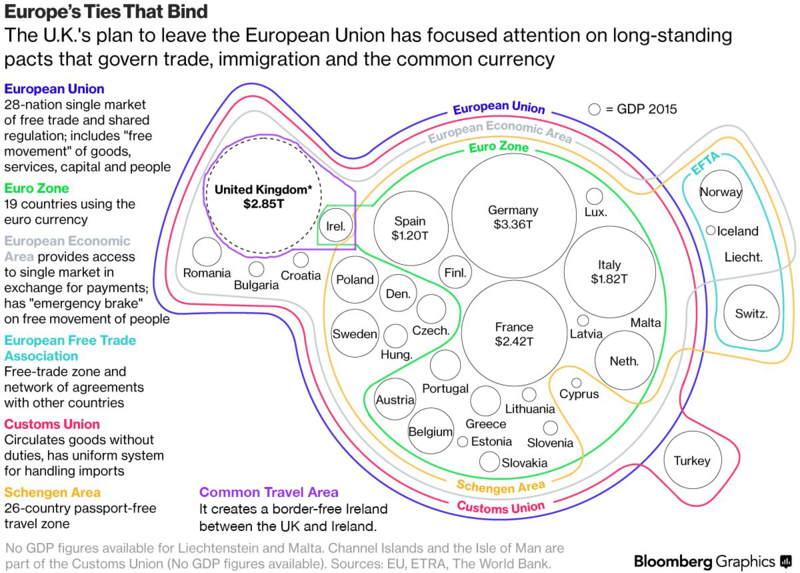 Credit for the piece goes the Bloomberg graphics department. In case you missed it, two weeks ago President Duterte of the Philippines had some interesting things to say regarding the relationship between the Philippines and the United States. “America has lost” and “separation from the U.S.” were among the two big lines he spoke to a Chinese audience. But the Philippines are an important part of President Obama’s pivot to Asia strategy as we have been spending money and time improving defence ties. Naturally issues like the the pivot underpin Trump’s claims about poor judgment when it comes to the Obama/Clinton foreign policy. The pivot’s improving defence ties come at a time of region-wide increases in defence spending. 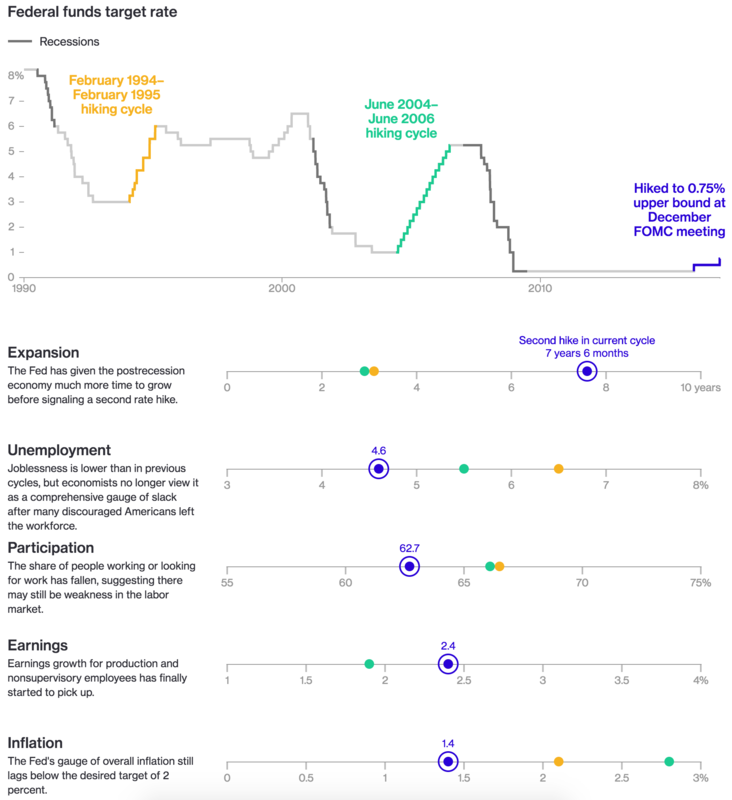 Thankfully Bloomberg put together an article with some nice graphics earlier this year. As someone who has always had an interest in naval things if not military things, see my numerous posts on that here, I thoroughly enjoyed reading the article and digesting the graphics. 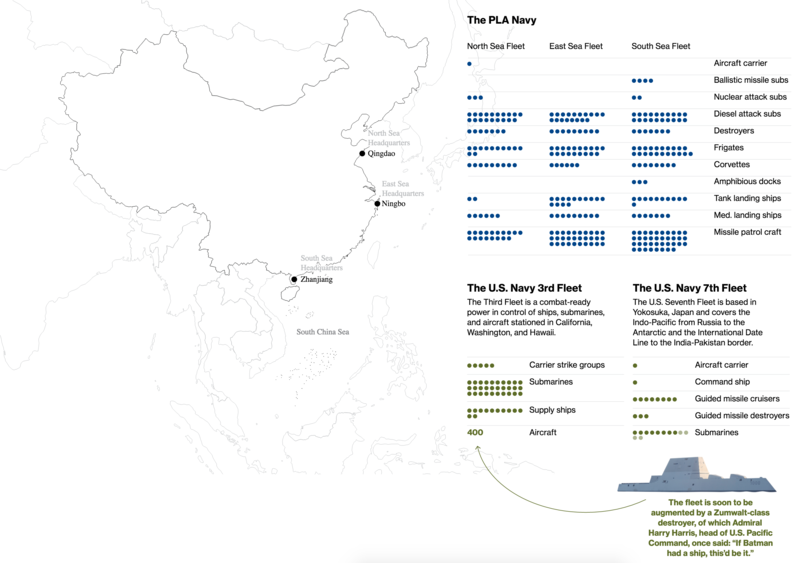 The one below compares the strengths of the Chinese fleets to those American fleets permanently assigned to the Pacific Ocean region. Of course the question becomes, beyond making our military stronger, just what would Trump do to counter or affect the arms race in the Asia Pacific region?